She last saw him in 2014. 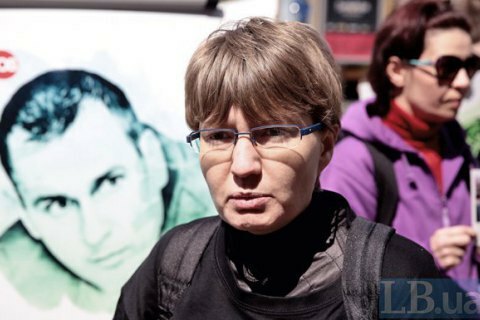 Natalya Kaplan, the cousin of Oleh Sentsov, a Ukrainian film director convicted in Russia, has finally managed to see him in the White Bear colony in Labytnangi in Russia's Tyumen Region, she has told Hromadske. "I have had a meeting with Oleh, we have talked for two hours. This was a brief meeting. Oleh, who is 190 cm tall, weighs 75 kg. He has lost 15 kg over the time of his hunger strike," she said. She last saw her cousin when he was charged in Russia's Rostov-on-Don in 2014. Today is the 53rd day of Sentsov's hunger strike. He was detained by Russia-controlled Crimean authorities in 2014. A year later, he was charged with terrorism and sentenced to 20 years in prison. On 14 May 2018, Sentsov announced an infinite hunger strike, demanding the release of all Ukrainian political prisoners in Russia.